You are here: Home / Home Page / Meet The Witch Grasses! ​Grasses are often overlooked and dismissed as difficult to identify – too technical and cryptic. No wonder, then, that the enigmatic witch grasses (genus Dichanthelium) have really gotten the short end of the stick. It is at least worth your while to know that these little grasses are quite successful and diverse. Most habitats in the eastern U.S. contain at least a few taxa, but the pinnacle of Dichanthelium development is reached in the sunny habitats of the Coastal Plain. The Piedmont, and to a lesser degree, mountain habitats of the east, can also have significant numbers. 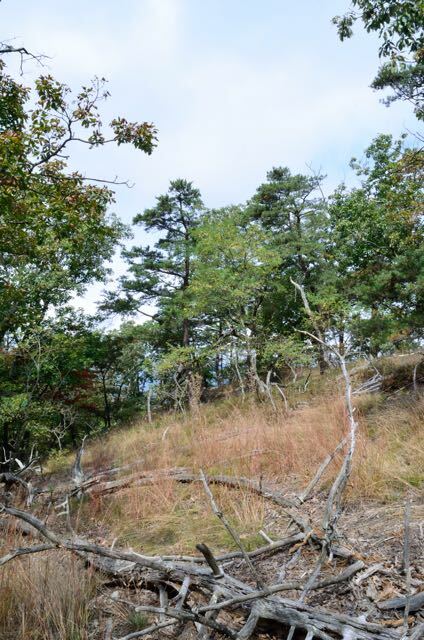 In fact, DCR’s Difficult Creek Natural Area Preserve in Halifax county contains nearly half of Virginia’s Dichanthelium species, a testament to the effects of geology and fire management on our Piedmont flora. I can’t say exactly why I enjoy these plants as much as I do. Concerning certain plant groups, I dread the keying process and those inconvenient quirks of biology that make it difficult for those square pegs to fit into our round holes of classification. But for whatever reason, I’ve reached a certain truce with Dichanthelium, and have come to accept that getting a straight answer in this genus may not always be possible. This Dichanthelium from Bath County, Virginia has defied classification and is under study. It is known from a few small woodland openings with shale substrates. So what about these plants? : The Flora of Virginia treats 48 taxa, but the number confirmed for the state is now 52, a remarkable jump for just 2 years. Some can be over waist-high in stature but the vast majority of these perennials measure around knee high or below. The genus name means “two-flowering”, referring to the possession of vernal and autumnal flowering phases (many species even have a third phase). The spring flowering effort is apparently geared more toward cross-pollination, while self pollination is the dominant strategy as the season wears on. The flowers (spikelets) are roundish and, except for their outer, sterile portions, are rather cartilaginous and therefore difficult to pin down under a dissecting scope. Grassy woodland opening in Douthat State Park, Bath County, Virginia. A Dichanthelium from this site has thus far defied classification and is under study. This plant is presently known from 3 locations in the County. 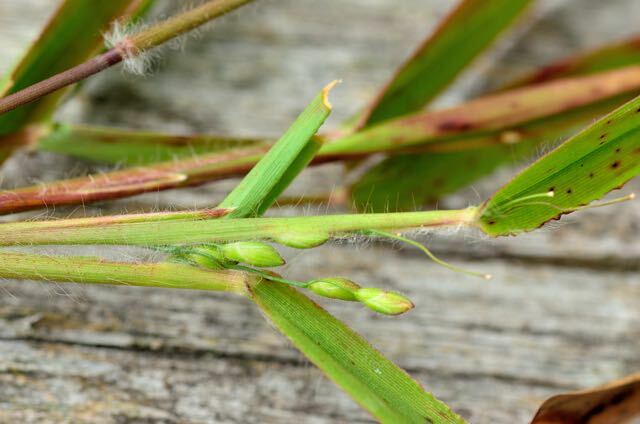 Species may be set apart from one another by seemingly minor differences in pubescence, spikelet size, details of leaves, or other specialized, subtle characters unique to the grass family. Understanding what you are looking at (or for) is certainly a hurdle. Though the differences between taxa may seem frustratingly minor, most of them have proven to be quite consistent and apparently meaningful; some groups, however, are rightly famous for having blurry species boundaries and characters that must first be believed to be seen. Shands Bog. Powerline rights-of-way like this one in the Virginia Coastal Plain can harbor some of the remnants of the once widespread longleaf pine ecosystem in the state. This site contain a high diversity of herbs, including grasses such as the scarce Hidden-flowered Panic Grass (Dichanthelium cryptanthum. Witch grass habitats range from the driest sands to seepage bogs dominated by Sphagnum moss. All of our taxa are natives, though a few have weedy tendencies. Some of these generalists, such as Deer Tonge Panic Grass (Dichanthelium clandestinum) and Velvet Panic Grass (Dichanthelium scoparium) are often found in disturbed soils or in artificial clearings. On the other end of the spectrum, Blue Witch Grass (Dichanthelium caerulescens) only occupies certain dune swales and moist powerlines of the Coastal Plain; Ringed Witch Grass (Dichanthelium annulum) is tied to mafic or calcareous woodlands of the Piedmont and mountains. Areas with high Dichanthelium diversity are generally species-rich overall. The famously diverse longleaf pine region of the Southeast is rife with witch grasses, particularly in areas of high fire frequency. In a landscape characterized by subtle shifts in soil texture, elevation, and hydrology, the various species’ subtle differences in habitat preference help a naturalist interpret the land; their presence and numbers speak to disturbance, fire, flooding, shade, depth to clay, and so on. They can account for a substantial percentage of the diversity and biomass in these systems. 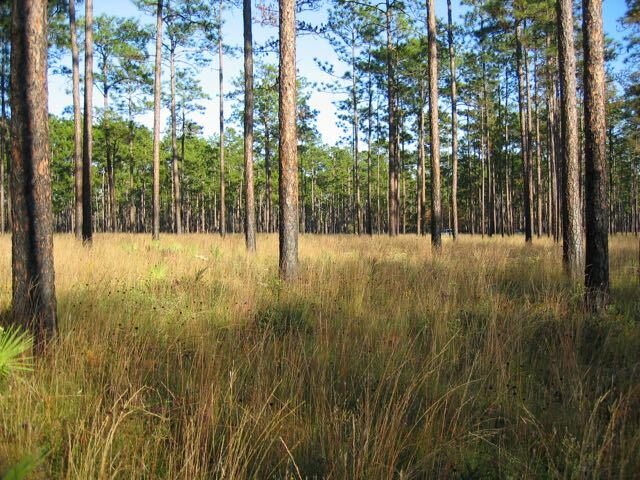 Longleaf Pine savanna, Apalachicola National Forest, northern Florida. 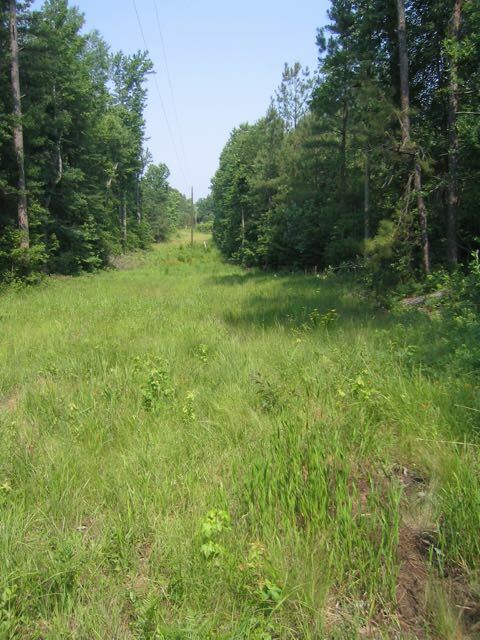 Habitats of this type have the highest diversity of Dichanthelium in the U.S.
And as with any diverse, taxonomically complex group of plants, inscrutable individuals and populations occur. Given the identification challenges involved and the lack of genetic context, few “new” species have been proposed in recent decades (the last in 1961). Even so, morphologically distinct plants do crop up, including two discovered in the Ridge and Valley and Piedmont of Virginia; determining the proper taxonomic status of such plants in an already daunting genus is a tall order. In addition to apparent novelties are species described long ago that are only now being “resurrected” and gaining attention. As with most plant genera, the number of Dichanthelium taxa described over the years is a good bit larger than the number of species accepted by modern botanists. This is due in part to the naming of numerous minor variants as species over the centuries; the process of testing the validity of such work continues, and generally has had the effect of lowering the species tally. 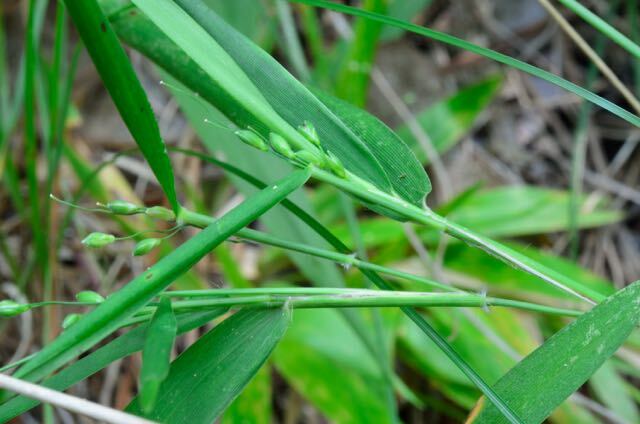 The process may work in the other direction, however, as is the case with Bicknell’s Panic Grass (Panicum bicknellii). This plant has been shelved for so long that it has never been formally named in the genus Dichanthelium and still bears the name given to it in 1897. 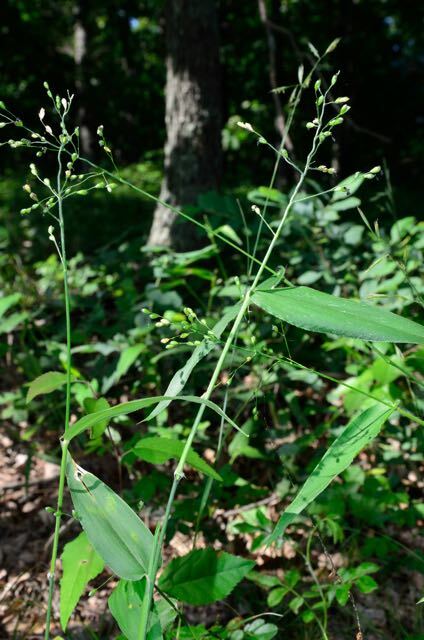 Populations uncovered in several Virginia counties in the last 2 years have reinvigorated interest in the plant and its “resurrection” (and proper classification) as a member of the genus Dichanthelium. Along with other new discoveries – including brand new species – recently discovered in Virginia, these complex and enigmatic grasses once again point out that our knowledge of the state’s flora is continuing to evolve.